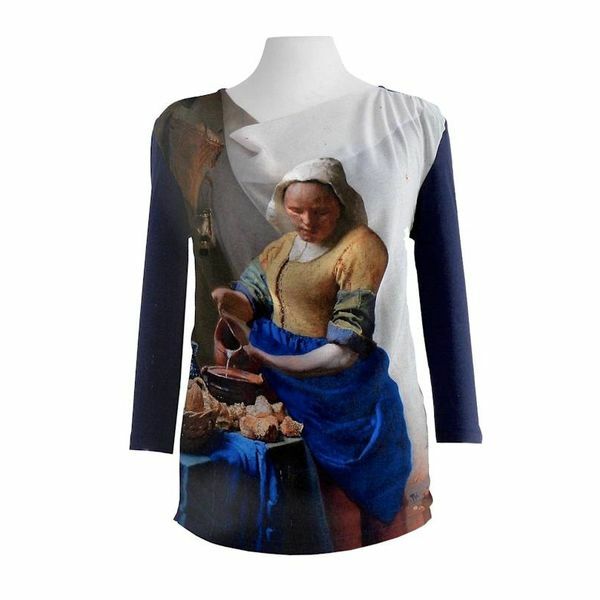 Long-sleeved shirt and beautiful print by Vermeer's famous Milkmaid. The long sleeves and the back are matching dark blue. The shirt has a waterfall neck and button in the neck and can be washed in the washing machine. You can indicate your size as a comment when you check out. Choose from M, L, XL or XXL (the sizes are standard). 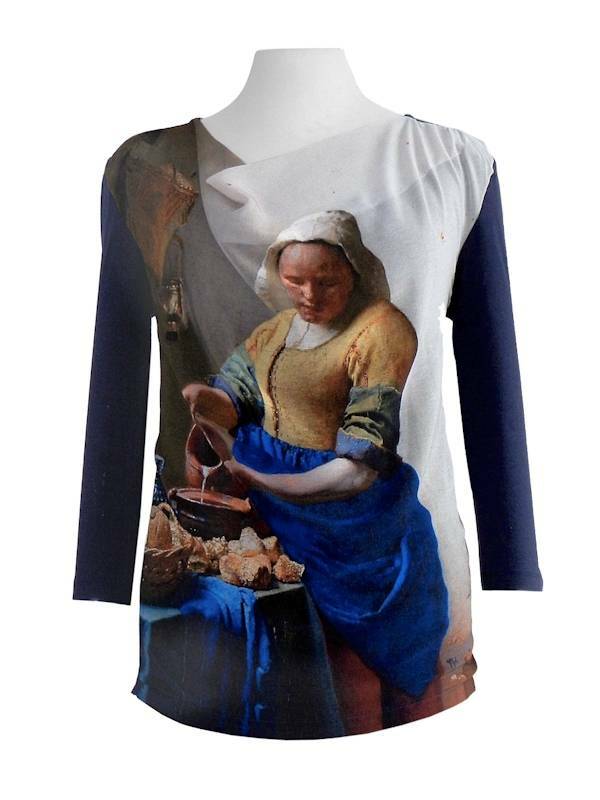 Long-sleeved shirt and beautiful print by Vermeer's famous Milkmaid.